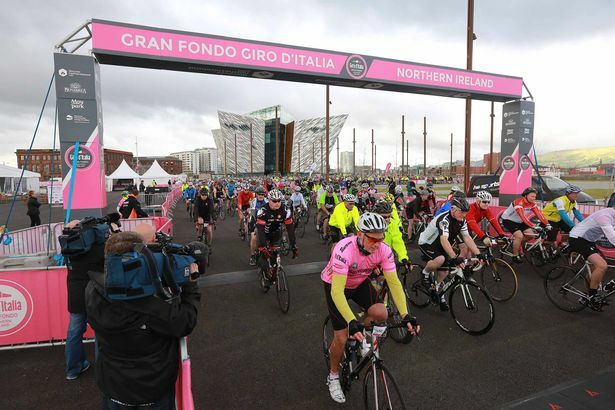 Northern Ireland’s love of cycling has reached a new high following the huge success of the Giro d’Italia in 2014. This year cyclists have lots to look forward to as part of the festival, including the Gran Fondo, the Piccolo Fondo, Velodrome activity. 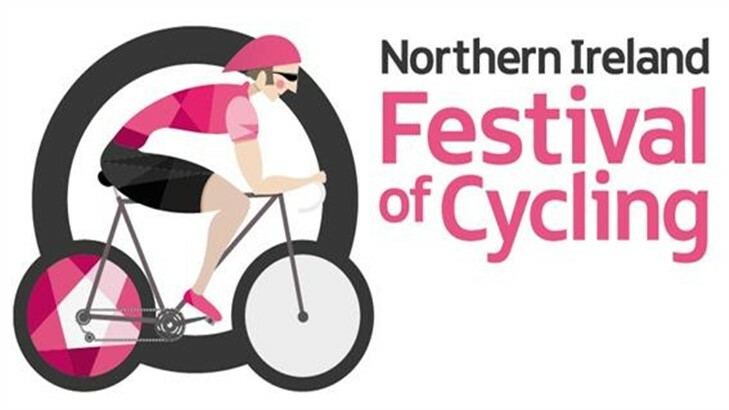 And now, news of the spectacular series of events arranged as part of the NI Festival of Cycling, June 3 – 19, is sure to get thousands of people on their bikes to enjoy the many varied events planned, for all ages. 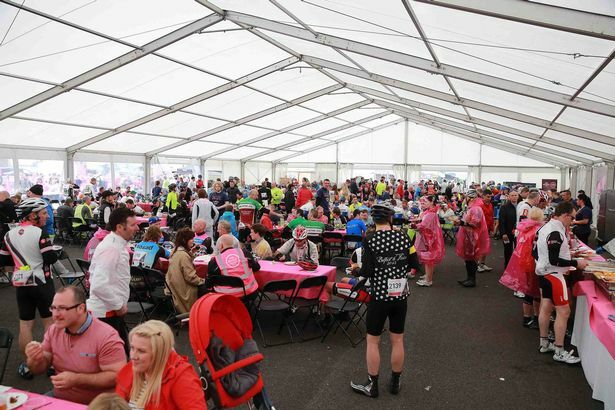 This year cyclists have lots to look forward to as part of the festival, including the Gran Fondo, the Piccolo Fondo, Velodrome activity and a range of fun events held across Northern Ireland. June 2016 will see the second edition of this spectacular event and there will be celebrations galore with a post-ride party with wood fired oven pizzas, gourmet pasta dishes and Italian beer and wine. 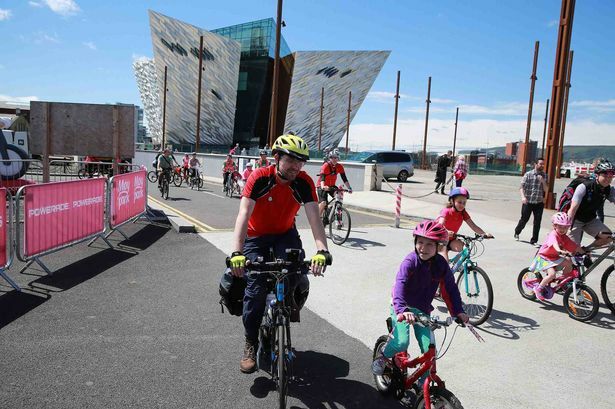 There will be plenty of activities and entertainment for families at Titanic Belfast as well as photo opportunities with the Giro d’Italia Trophy. Departing from Eglinton Village (Hummingbird Café) at 10am sharp, cyclists will ride to Park Village at the food of the Dart Mountain via the Sperrins. Participants will have lunch cooked for them by a local chef using fresh home-sourced produce from the immediate area. This mountain bike sportive is perfect for anybody that likes to get the heart rate up and the adrenaline flying. It’s all about getting around the 26km Rostrevor loop in as much style as possible. This healthy initiative is encouraging you to cycle to work on the 13 and claim a FREE breakfast (bacon butty or healthy fruit bowl) at participating outlets from 8:30 – 9:30am. This is an eight hour mountain bike endurance event which is open to individuals, teams of two or four and for both novice and experienced riders. This is a cycling proficiency skills event for children age 4 – 12. The programme focuses on 4 main skills; Cornering, Pedalling, Braking and Balance – great for ensuring your kids know how to bike safely. Navigating the hills and winding roads of beautiful South Armagh this is the perfect event for those who would like to try out the world of cycling for the first time yet, it is tough enough to challenge experienced riders too. This event is designed to challenge you against the distance and the clock. Open to all level of cyclists the route will take cyclists through the old council areas of Armagh, Banbridge and Craigavon including a part of the Gran Fondo. This fun event allows families and children to participate in a mini challenge and cycle from the Sportsplex centre in Bangor to Pickie Fun Park on closed roads. This is the ideal event for young children who are inexperienced cyclists. This event will allow cyclists to take over the roads around Newtownards town centre and enjoy a race against the clock. The event will kick off with children completing a lap of the circuit before more experienced riders then join in. A BMX stunt team will be on hand to perform and wow spectators. Enjoy an evening cycle starting from The Big Fish and travelling around Belfast’s city centre cycle network followed by a BBQ in the Courtyard. Starts at 9:30pm. This family orientated cycle will start at the Big Fish and follow the Comber Greenway to the Tudor cinema in Comber. Families will have the chance to enjoy a fun cycle day out and then take in a film screening afterwards, in a private cinema. Take part in this year’s Piccolo Fondo and cycle along one of 4 traffic free routes from Comber, Holywood, Newtownabbey and Lisburn finishing at Titanic Belfast where the Gran Fondo ends the next day. Travel at your own pace in The Slow Bike Race at the grounds of City Hall. Lap Ormeau Park for a bicycle race set in the heart of a city park from 5-9pm. Street Velodrome is an exciting high speed pop up course which offers cycling enthusiasts the chance to experience the thrill of competitive racing. Schools and clubs will take to the track on Friday and on Saturday and the public will be able to pop along and get to grips with the gears. Are you brave enough to tackle the impressive Street Velodrome at one of the following locations? The Street Velodrome Tour will kick off at the Gran Fondo where Northern Ireland’s very own velodrome team, the Belfast Titans, will show you how the professionals do it as part of a televised broadcast on the Saturday. The track will then be opened to the public on Sunday for some ‘Have a go Sessions’. 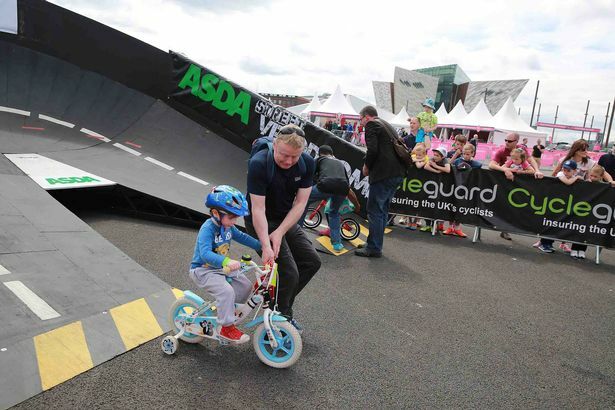 Urban sports demos, Cycling training, skills course, bling your bike workshops, obstacle courses and much more will be happening around the Street Velodrome in Antrim and Newtownabbey Borough Council from 10:00am – 6:00pm. The track will arrive at Solitude Park in Banbridge on June 10 for school groups and cycling clubs and will be open to the public on June 11 from 10am – 5pm. The final stop of the Street Velodrome will see it set up in Guildhall Square for one final day of free try outs and fast paces, head to head action. Note: This article is originally published on Belfast Live. Here we have re-published this content to share the cycling event details among cyclists. All rights of this content reserved by Belfast Live and Discover Northern Ireland.